The Missing Blog: Publicity for Missing People: How does it work? Publicity for Missing People: How does it work? When somebody goes missing, one of the ways we can help is by launching a publicity appeal. We often get asked questions about what publicity we do, how and why we do it, whether or not it is safe, and how members of the public can help. 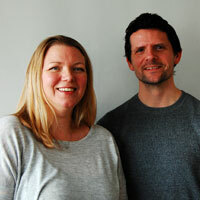 We caught up with Kate and Ian, our Publicity Coordinators, to find out the answers. 1. What types of publicity do you offer when somebody goes missing? Appeals will appear on our website and on Facebook and Twitter. Posters will be distributed via our network of Poster Partners, and confidential briefings circulated to our Support Partners and British Transport Police. For higher risk missing people, Royal Mail can send alerts to the handheld PDA units of all postal workers within the local area, and thanks to our partners Outsmart and JCDecaux we also have access to the digital advertising boards you see at train stations and at roadsides. Our media partners, like the Daily Mirror and Big Issue, also regularly publish our appeals. All of this generous support is provided free of charge. 2. Where do you get the information and images used in your appeals? The relevant police force, and sometimes from missing person’s loved ones. It's important that we launch our appeal as quickly as possible. That way, we can rapidly start the search and try to ensure that the missing person receives the support they need within as little time as possible. Sometimes the images we receive aren’t perhaps the clearest or best, and if this is the case we will work together to find a better image. We don’t want to lose valuable time so won’t delay launching an appeal if we have a usable image. We will then change the image on the appeal if we receive a better one. 3. Is it always safe to publicise a missing person? Not always. Which form of publicity is best depends on the individual circumstances of the missing person. If a person is very vulnerable (for example, they are struggling with poor mental health) then publicity may not be suitable. This is when we will turn to our network of Support Partners. We can send briefings to them that won’t be publicly displayed but will ensure the search for the missing person is still underway and they can receive the help and support they need as soon as possible. 4. Why is the wording in appeals aimed at the missing person rather than members of the public who might see them? Our main priority when someone goes missing is to ensure they receive the support and advice they need. There are so many different reasons people go missing and a missing person might not want to be found immediately. We want to ensure that every missing person knows that they have a non-judgmental, completely confidential place that they can come to via our helpline. Their welfare is our highest priority. 5. Who puts up your appeal posters? Posters are sent to our network of thousands of Poster Partners across the UK. These include shops, restaurants, libraries, banks – any business or organisation that is willing to put a poster on public display. 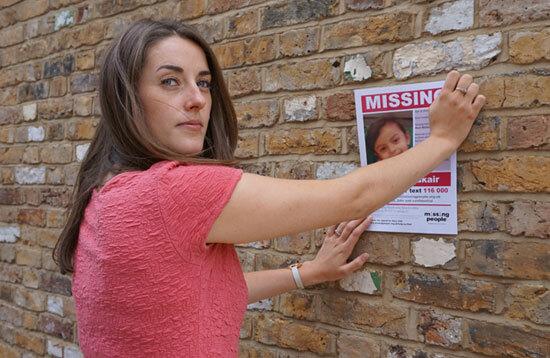 Posters can be downloaded by helpful members of the public via the missing person's appeal page on our website. If publicity isn’t suitable, then we are able to send confidential briefings to our network of Support Partners, which include homeless shelters, drug and alcohol services and youth support organisations. 6. How do you decide which missing person appeals will appear on your website and social media pages? Most of the appeals that we publicise have come to us via the police. Sometimes families come directly to us but we always gain permission from the police to work alongside them. Then all appeals that are suitable for publicity will be put on the website, posted on Facebook and tweeted on Twitter. This is part of our minimum publicity pledge. 7. Somebody I know is missing, and I've asked you to share my Tweet/Facebook post but you said no. Why? Several reasons. We have to check that the appeal is genuine and not a hoax. We must also check with both the police and family members of that missing person that it’s safe to proceed with publicity and that it doesn’t put a vulnerable person at more risk. We also have to consider the situation of the missing person. We aim that if someone saw publicity of themselves they’d feel able to contact us in confidence for help. We don’t want to make it any harder for someone who has been missing to then ‘walk back into their life’. We are incredibly grateful to people who have downloaded posters or shared our appeals, and as an organisation we have a responsibility to make sure that this information is accurate. We need to make sure that any publicity; posters, media appeals, tweets, will help someone to safety. 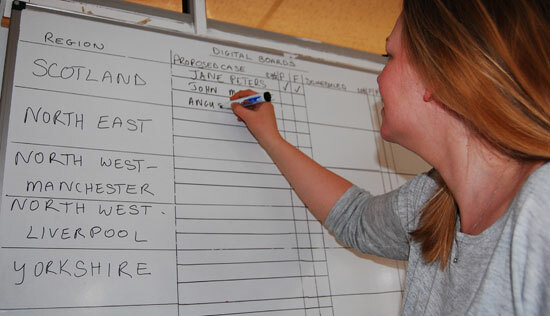 Trust in our charity is dependent on getting this right. 8. Should we share your appeal posts, or can we write our own? We would always rather people shared or retweeted our original post because we believe in and respect a formerly missing person's right to be forgotten. This means that once the missing person has been found, all publicity generated by us is removed and any retweets or shared Facebook posts will also automatically be removed. If people create their own posts, they won’t be removed automatically when a person is found and the fact that their appeal is still in the public domain could cause upset. 9. Why would you hide or remove a comment on social media? If a comment may place a missing person in danger or cause further distress to them or their loved ones, we will remove it. We will also hide or remove any comment that uses abusive or discriminatory language or contains confidential information that shouldn’t be in the public domain. We will always encourage people to call us in confidence on 116 000 if they have posted a comment on one of our social media pages and we feel they may need help or support. 10. Do your publicity appeals work? Yes. We regularly receive feedback from the police and from families of missing people saying that a member of the public or the missing person themselves has seen an appeal and as a direct or indirect result the person has been found. The most important thing is that the missing person gets the support that they need and that their family and friends also receive the support they require. 11. How can the public help? By regularly sharing our appeals on Facebook or Twitter. If you work in a public facing business you could become a Poster Partner and display our posters when someone goes missing in your area. If you work for a project that works directly with people in a safeguarding capacity then you could become part of the Support Partner Network. You can also get involved with our community fundraising. We always have a fun challenge event on the horizon or other ways to raise vital funds for Missing People.